Though it may be a well-written prize winner, a one-off book, a stand-alone novel, has little chance of commercial success in today’s reading market. The mass of readers wants recurring heroes, protagonists who return to deliver the goods of more adventures. It’s something a reader can look forward to and feel comfortable with. Series novels are the thing. And looking back, reading of the army of fans who followed Arthur Conan-Doyle and eagerly awaited his latest Sherlock Holmes treat, I feel it’s always been so. Now it’s big time. Series novels are invariably thrillers in the crime, mystery and espionage genres. Some come about by accident. They begin with a single book, which is then followed by another, perhaps a sequel, and then a third and so it goes on. Others are intended from the beginning. My new novel, ‘The Sum of Things’ recently launched on Amazon’s Kindle, is one of these. It’s the first in what I intend and hope to be a long and successful series. While writing my novel, I got to thinking about how long a series should run for? Given that it’s successful, how far should a writer continue producing his series before calling it quits? And what criteria should he/she use to govern the series continuance? Intrigued, I began to examine some recent thriller series novels. Probably, the most popular thriller series today has to be the Jack Reacher novels of Lee Child. Two of the novels: ‘One Shot’ and ‘Never Go Back’ have been turned into successful and money-spinning movies starring Tom Cruise. Beginning in 1997 with ‘Killing Floor’ this writer has consistently produced a novel a year, for twenty years, many of them gaining awards. His latest, ‘Midnight Line,’ #22 in the series, will be released in November. His previous novel ‘Night School’ (#21) has garnered 5,464 reviews and counting on Amazon. I’m impressed. As only a small minority of readers bother to write a review, that gives some indication of the sales numbers Child’s books are enjoying. And sales have to be one of the major indices a writer will use in deciding to continue or not. But in reading some of the Jack Reacher reviews, I can see that cracks are appearing. Many readers, some die-hard fans of the series, complain that the plots are becoming hackneyed and see Child struggling to come up with new situations and fresh story ideas, his style becoming more formulaic and his villains are turning into ‘buffoonish cartoons.’ It seems that Child’s creative well could be running dry. Nevertheless, based on current popularity, I’m sure we’ll see more of Jack Reacher. Among other works, that fine British writer, Stephen Leather has now published fourteen novels in his Dan ‘Spider’ Shepard thriller series and is still getting good reviews. Another successful series has been Andy McNab’s Nick Stone Series of thrillers. Book #19 ‘Line of Fire’ is due out in October 2017. But get this: it can be preordered on Amazon Kindle for a whopping US$ 26.78! Wow. How’s that for cheek? Not a hardback mind, an e-book. It would take a long cold day in hell before I would pay 27 bucks for a gift-wrapped, signed hardback edition much less a Kindle e-book. His previous book, ‘Cold Blood’ #18 in the series, carries a price tag of US$ 14.24, still too expensive for a Kindle novel I feel. And the reviews for this series don’t cut it anymore. The 2 and 3-star revues surpass the 4 and 5 stars; not a good sign. It’s time he quit, but I feel Andy will press on. It may be he’s seen the writing on the wall and decided to make as much as he can before it crashes. An outstanding series of recent years was the Inspector Morse Series by the British writer, Colin Dexter. Made into a television drama with that fine actor, John Thaw, in the role of Morse, it was excellent, well produced and I enjoyed it immensely. And part way through the television series I turned my attention to the books and enjoyed them even more. Dexter wrote thirteen Morse novels, beginning with ‘The Last Bus to Woodstock,’ and ending with ‘A Remorseful Day,’ in which Morse dies. Yes, he brought his series to a close by killing off his protagonist. Dexter made no apologies or explanation. It was the writer’s decision and his alone and therefore had to be. But his fans were disappointed, myself included. In making Morse a heavy drinker with poor dietary habits and indifferent to his health, could it be that Dexter was setting his hero up for a finale where he could bring on the fatal heart attack that would end the series whenever he chose to? It does seem that way to me. It is worth recording that he killed Morse in a satisfying way and closed his series on a high note, his last novel receiving splendid reviews. Not for Colin Dexter the disappointing reviews of frustrated fans. And it was death that ended another great series; the James Bond saga. Not the death of Bond, but that of his creator, Ian Fleming. When Fleming died beside that English golf course on the 12th of August 1964 at the age of fifty-six, it brought to a close a fascinating series. Not a great writer; he didn’t have to be. But he was good. And though it’s perhaps true that he wrote fantasies for adult children, his prose was lean and spare, and every word counted. His novels were page turners, and he was eminently readable. His last novel, ‘The Man with the Golden Gun,’ unfinished at the time of his death, was cobbled together by his publisher, Jonathan Cape and published eight months later. A poor job that lacked everything we fans expected from a Bond novel, it received poor though respectful reviews. I didn’t enjoy it much. It seems that heavy smoking and lifestyle-induced ill health had taken their toll on the writer. But, unsurprisingly, it was an instant bestseller in both hard and paperback form. Fleming left behind a corpus of twelve Bond novels and some short story compilations, and so it was over. Or should have been. However, the publishing house, Jonathan Cape refused to accept it, and with the compliance of the author’s estate, they began searching for writers able to write Bond stories in the style of Fleming in what became known as the ‘continuation’ Bond novels. First off the blocks was Kingsley Amis. Using the pseudonym, Robert Markham, Amis produced the novel, ‘Colonel Sun.’ It got mixed reviews and sold well. Bond fan that I was, I didn’t enjoy it. And I don’t read any more of the continuation series which continues to this day. Though a thing apart, the Bond film franchise seems to be unending with a fan base who’ve never heard of Ian Fleming. For me, Ian Fleming’s alter ego, James Bond, died along with his creator that August morning in 1964. R.I.P. Should a writer ‘age’ his protagonist as a series progresses or should he make him ageless, impervious to time and therefore able to hold the ring forever and a day? I believe in the first option; it’s closer to reality and makes him more credible. And so does Lee Child. Born in 1960, Jack Reacher will turn fifty-seven on the 29th of October. Retirement at sixty? It would seem logical. The clock is ticking. And if we were to give James Bond the age of thirty-nine when he faced down Le Chiffre at the baccarat table in that casino in Royale in 1952 he would be 104 years old today. He doesn’t look it in the movies though, and the continuation writers also seem to have ignored this reality. 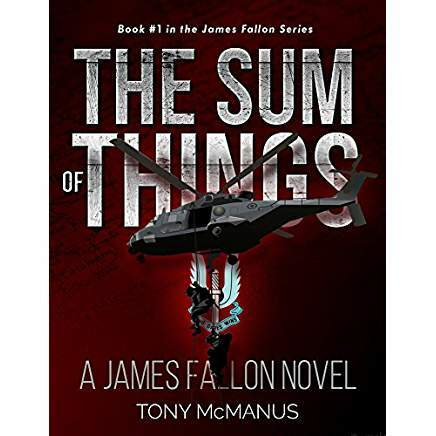 My boy, James Fallon, stepping up and showing his credentials in ‘The Sum of Things,’ is a youthful thirty-five in 2017, so he has lots of things to do, lots of villains to destroy and lots of time to do it in. It’s up to me. Several factors may determine the time to bring down the curtain on a series. The advancing age or failing health of the author. The author’s desire to write other things in other genres (it was Arthur Conan-Doyle’s desire to write more historical fiction that resulted in Sherlock Holmes ‘death’ at Reichenbach Falls). Increasingly poor reviews telling the author his ability to produce good stories is faltering and on the wane and the series has run its course. But if the series is highly successful, sells well and brings in much money, an author would be sorely tempted to press on regardless of poor reviews. To close it down would be like killing a Golden Goose. I have to conclude there can no hard fast rule on this. At the bottom end you have writers who publish series schlock, written fast and aimed at low-brow readers with the single intent to make money. Such crap should never see the light of day. At the top end, we have a good example in Lee Child’s Jack Reacher series, going strong for twenty years and twenty-two novels. I hope my James Fallon series takes the same route. And I’ll be more than happy if it’s half as successful. 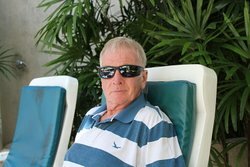 He is presently working on two crime novels: Bangkok Retribution, the first book in a series featuring sleuth Mike Villiers. Of course, Agatha Christie wrote the final novels for Poirot and Miss Marple when she was quite young and kept them in a safety box with the proviso that they should be released when she could no longer write. That’s thinking ahead… Great post. Good luck with your series. (In my case, I have two, one is a trilogy, although, there could be more, and the other is open-ended. Having either the first novel or a shorter novella (prequel) free does help move things, for sure. Enjoyed this analysis of writing a series. The I find a solid author with interesting characters, nothing makes me happier to discover there’s a second book – and a third and a forth…. I apologize for not including in the article Seumas Gallacher’s excellent Jack Calder series. With five on the shelf and one in production, we can look forward to much more ahead. Seumas Gallacher hosts author Tony McManus who informs us writers about book series. Since I am working on a series myself, this of course, is of enormous interest for me. And I’m sure I’m not the only one.